Founded in 1964, The Stuart Highlanders Pipe Band is a prize-winning performing and competing Scottish Highland Bagpipe band based in the greater Boston metropolitan region. Over fifty-two years since the band’s founding, the band has actively pursued its mission to spread a greater appreciation for the art of Scottish bagpipes and drums and Scottish culture in general. The Stuart Highlanders Pipe Band is a prize-winning performing and competing Scottish Highland Bagpipe band based in the greater Boston metropolitan region. Over fifty-one years since the its founding, the band has actively pursued its mission to spread a greater appreciation for the art of Scottish bagpipes and drums and Scottish culture in general. The Stuart Highlanders are an active competition band, successfully performing and competing at Scottish Highland games and festivals across eastern North America and Scotland. The Stuart Highlanders Pipe Band is committed to high quality teaching of bagpipes and drums. The band features players who perform at the top levels of solo competition and continues to produce individuals and bands playing at a quality level. 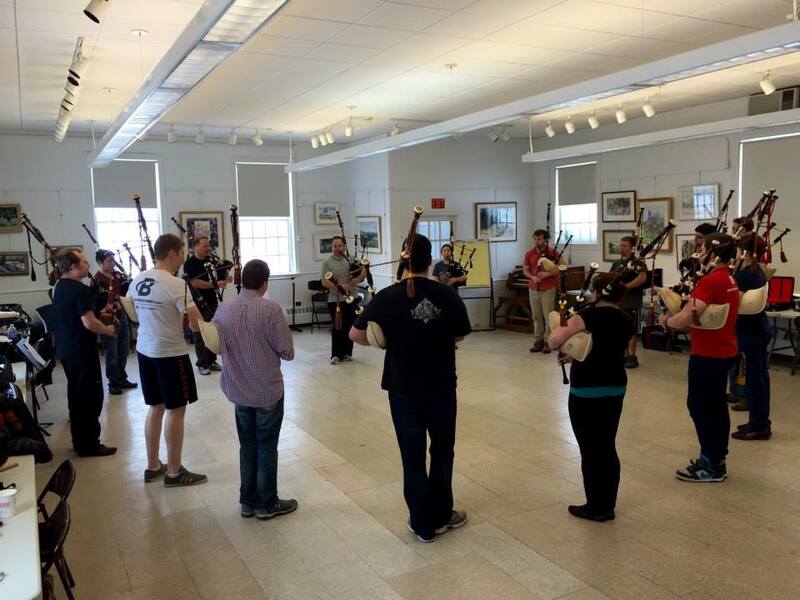 The Stuart Highlanders are based out of the Wilmington Arts Center in Wilmington MA (map).